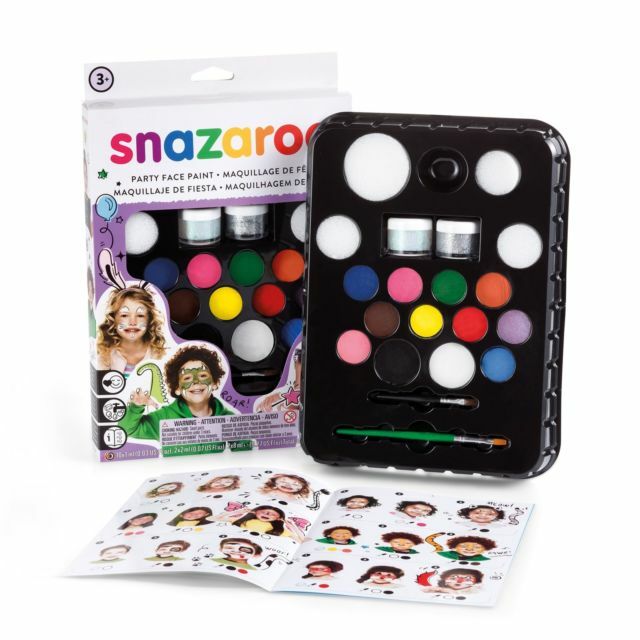 One of our most popular Snazaroo face painting kits, packed with our best selling brightest colours and glitters. Great for parties, fetes and special events - or just to make a play date even more imaginative! 2 x 2ml classic colours - black & white. 8 x 1ml classic colours - bright red, bright yellow, grass green, orange, sky blue, dark brown, royal blue, pale pink. 2 x 8ml glitter gels - silver and stardust. Not suitable for children under 36 months due to small parts. Adult supervision recommended.